Robust statistical models have become of great importance in the analysis of high frequently sampled data such as financial portfolio returns. This is because the make no assumptions in the return distribution hence they provide an effective way of capturing extreme shocks during trading activities. In the recent research by M.N. Kinyua, portfolio investment provides potential investor a platform for investing in a wide range of financial assets. 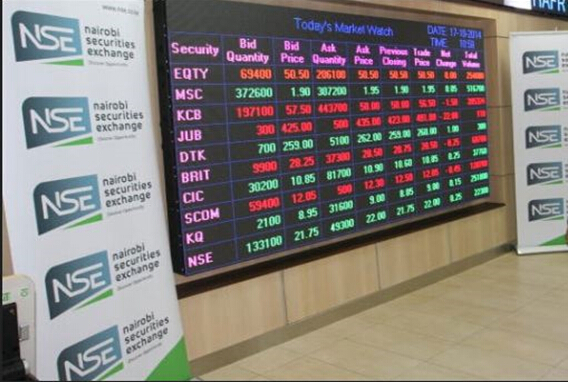 The study used Nairobi Securities Exchange (Kenya) data which provides investors with a range of assets to invest on. The idea behind creating an optimal portfolio is to create a combination of assets that are negative correlated. As the adage goes “Do not put all your eggs in one basket”. This is the motivation towards creating a portfolio. Portfolio returns are weighted averages of individual assets making up the portfolio. These weights correspond to the monetary value attached by the investor to each financial asset. This paper works to provide a way of quantifying portfolio risk as a conditional quantile. The percentage amount of money that any investor is willing to lose with a given probability over any time holding period is intimately linked to lower conditional quantile. A quantile is a single number that partitions a probability distribution into equal portions. This numeric number is simple to interpret and is what is commonly referred to as Value-at-Risk. Prior studies on risk measurement have come to a conclusion that value-at-risk is a conditional quantile of a return distribution. Financial Portfolio returns exhibit fatter tails than the normal and students t distributions. Making assumption in the tails of the distribution may lead to underestimation or overestimation of the value-at-risk. This would consequently lead to giving investors misleading information. Quantile regression as gives a way of estimating the conditional without making distribution assumptions. Additionally, generalized autoregressive models have proven to be successful in modeling financial time series data like the portfolio returns. The results of the study showed that quantile GARCH based model as a risk measurement model provide a good risk measurement model. This is simply because the model provides best way of capturing extreme shocks that are present in the trading environment. This implies that the model is capable of capturing time varying standard deviation of the portfolio returns for financial returns. Higher order and different models like the indirect, Threshold and Mean GARCH can be considered in modeling returns. Conditional quantile based on the models can be developed using different estimation procedures such as Kalman filters, copulas and Bayesian quantile regression. M.N. Kinyua Applied Statistics, Department of Statistics and Actuarial Science, Jomo Kenyatta University of Agriculture and Technology, Nairobi, Kenya. A paper about Quantile Regression Model for Measurement of Equity Portfolio Risk a Case Study of Nairobi Securities Exchange.